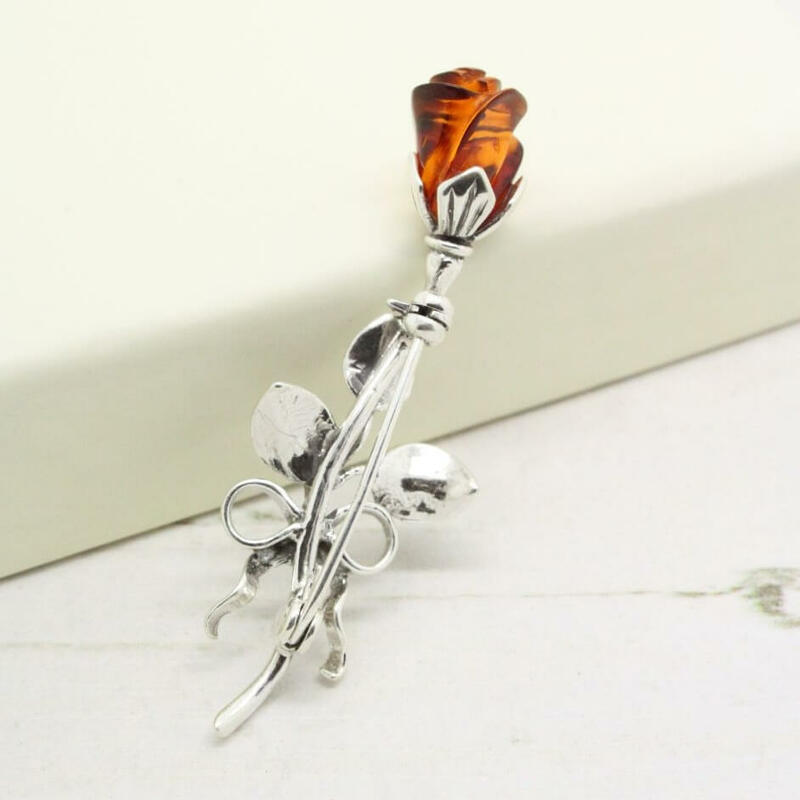 Description: I adore this sterling silver brooch, it features a detailed silver setting with bow and leafs; topped with a carved amber rose. 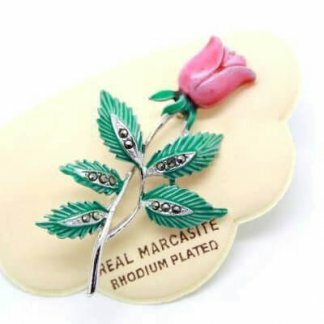 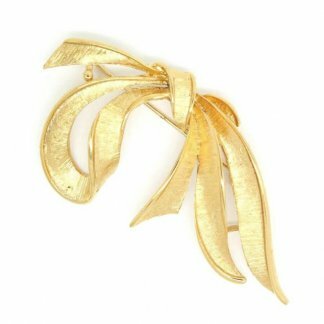 Add the finishing touches to any outfit with this beautiful brooch. 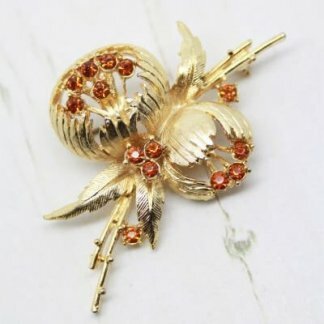 Measuring 5cm tall, complete with a strong roll lock clasp to the back. 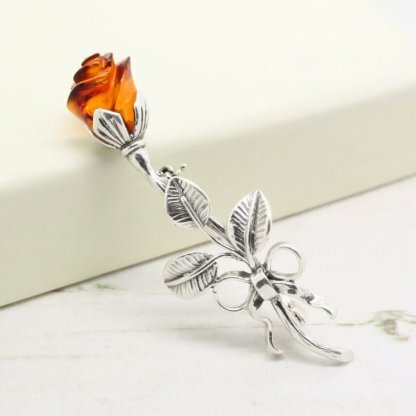 The brooch is fully stamped 925 to the pin. The amber is clean and of good quality, the brooch is in good condition showing slight to no wear, it appears ‘new’ and unworn. The silver is both shiny and clean, making this a wonderful gift for any occasion.